This level has medium difficulty. 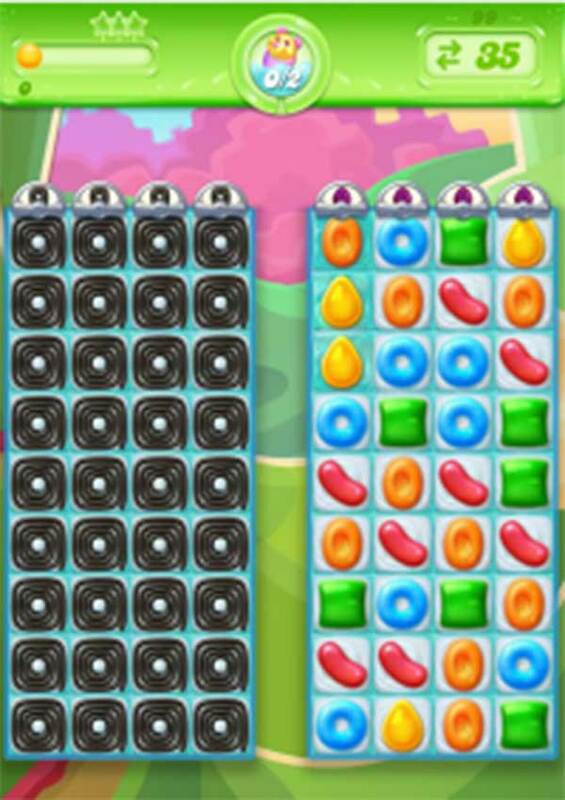 For this level try to play more from the bottom right part of the table and make striped candy or fish. Use them to break the blockers and frosting blockers in left part of the board to find the pufflers. Or play near to remaining blockers to break them all without wasting the moves to find all pufflers. Your example required 5 purples to be set off. What if the game gives you zero opportunities to do that? Rigged. I have played this for months — impossible to win! !